Renata A. Guidry is an associate at Epport, Richman & Robbins, LLP experienced in all aspects of litigation. Ms. Guidry’s law practice has included business, complex construction and intellectual property litigation. 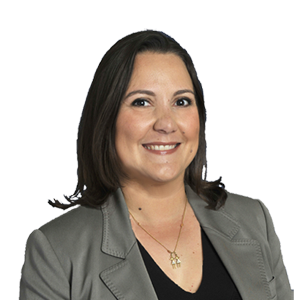 Ms. Guidry was selected for inclusion in 2009, 2010, 2011, 2018 and 2019 Southern California Super Lawyers – Rising Stars. Ms. Guidry received a Bachelor of Arts in Economics with honors from the University of Florida in 2000, and a Juris Doctor from Loyola Law School, Los Angeles in 2003, where Ms. Guidry served as Executive Editor of the International and Comparative Law Review. While at Loyola, she participated in Loyola’s International Law Summer Program at the University of International Business and Economics in Beijing, China. Zero payment defense settlement on $10 million Uniform Commercial Code dispute. Arnold W. Klein, MD v. Khilji, Excel Bank, et.al, U.S. Bankruptcy Court (C.D. CA), Case No. 2:11-bk-12718-RN. Favorable confidential defense settlement in anti-trust action involving the communications industry. Favorable confidential defense settlement in $20 million trade secret misappropriation action involving commercial food chemistry and processing secrets. The Need for MERCOSUL Harmonization: Brazil’s Consumer Protection Law as Focal Point, 24 LOYOLA INT’L & COMP. L REV. 361 (2002). The Steel Price Explosion: What is an Owner or Contractor to Do?, THE CONSTRUCTION LAWYER, Summer 2004, Vol. 24, No. 3. Co-author, Liquidated Damages for Delay in Construction Contracts, CONSTRUCTION ACCOUNTING AND TAXATION JOURNAL, Sept/Oct 2006. Co-author, Increased Scrutiny May Not Pay Dividends for Goldman’s Clients. Los Angeles Daily Journal (April 2012).